Be more than just another graduate. Be an innovator. Be an advocate. Illinois AHEC Scholars is a free program that uniquely blends opportunities to improve health care for rural and underserved urban communities with experiences that differentiate you from other students in your chosen health field. 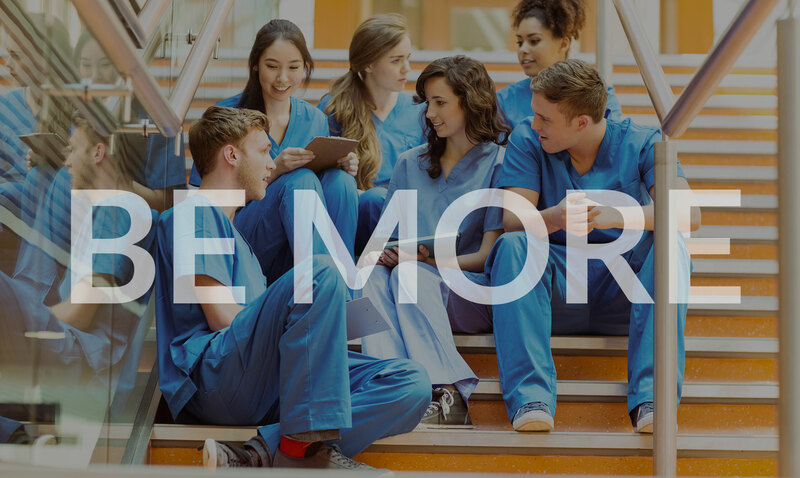 You’ll learn firsthand the value of interprofessional collaboration and professional networking. Applying to be an AHEC Scholar exemplifies initiative and commitment to education and health care. During the competitive two-year program, you will work closely with health care professionals who are dedicated to quality patient care. You’ll make meaningful connections that can lead to and strengthen future employment. Illinois AHEC Scholars is a program that uniquely blends opportunities to improve health care for rural and underserved urban communities with experiences that differentiate you from other students in your chosen health field. You’ll learn firsthand the value of interprofessional collaboration and professional networking. And it’s free for participants. Rural and underserved urban communities need health care providers who are attuned to their unique needs. AHEC Scholars is a fully immersive program where you become part of a community and see firsthand how your work impacts the people who live there. This program is fully funded by the Health Resources & Services Administration (HRSA), an agency of the U.S. Department of Health and Human Services. If selected, aside from your $25 application fee, there is no cost to participants in this unique program. We are still accepting applicants for the fall semester.